Space Safety » Archive » Space on Earth » ISS for Nobel Peace Prize » ISS as a Nobel Peace Prize Nominee? Why Not? This article was first published by Space News on February 17. It is reposted with permission of the author and editor. 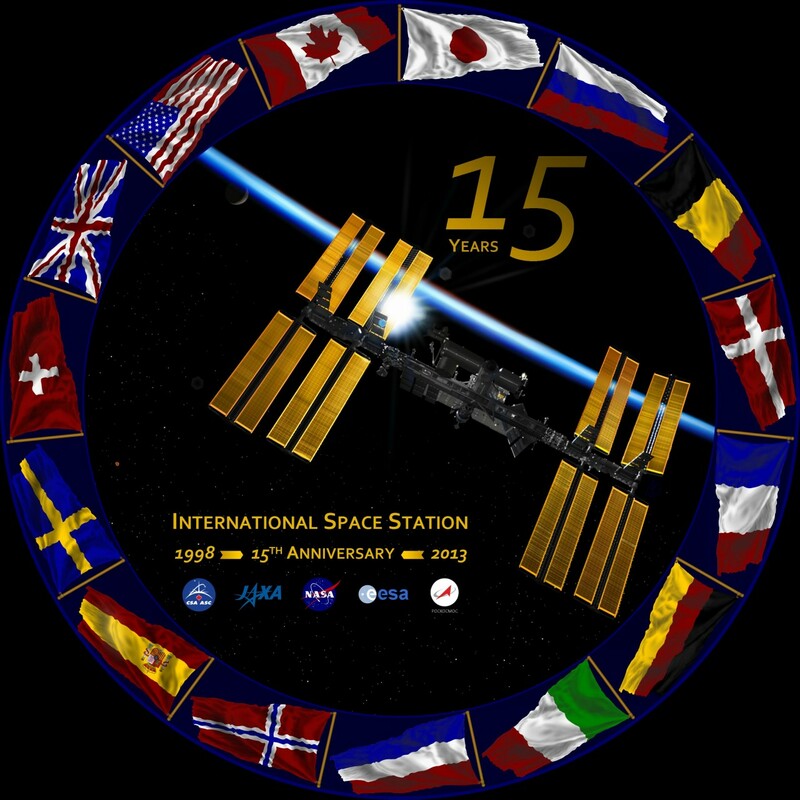 At the end of 2013, the International Space Station celebrated its 15th anniversary of the docking of its first two modules (Credits: NASA). When a number of my former students approached me with the idea to nominate the international space station for the Nobel Peace Prize, I must admit I initially waived it as an interesting but unrealistic idea. I have in many of my lectures told students about my earlier days, when I worked with astronauts in Star City in the early ’90s, and explained to them the growing respect between Russians and Americans during that period. In my view, space is indeed a strong catalyst for peaceful international cooperation, but a potential Nobel Peace Prize winner? Still, the more I thought about it, the more I started to see the logic behind this thought. In order to be sure that there was no basic obstacle I looked into the roots of the Nobel Prize and the original thoughts behind it. Alfred Nobel established in his (third) testament, signed on Nov. 27, 1895, five prizes each year. When his will became public, this came as a shock to his family and a legal fight ensued, certainly fueled by the considerable amount of the heritage. It took in fact several years before the first Nobel Prize was awarded, in 1901. Although the original text specifies “person,” the Nobel Peace Prize has been awarded 25 times to collectivities, such as the Office of the United Nations High Commissioner for Refugees, which has received the Nobel Peace Prize twice, in 1954 and 1981, and the work of the International Committee of the Red Cross, which has been honored three times, in 1917, 1944 and 1963. More recently, in 2013 the Nobel Peace Prize was awarded to the Organization for the Prohibition of Chemical Weapons. From this perspective and in view of the precedents, it seems clear that ISS could be a viable candidate. This being clarified, the second step is to reflect on why ISS would be a potential competitor for the prize. Space activities have been used at a number of occasions as a visible show of international cooperation. The very first example, right in the middle of the Cold War, was the docking in 1975 between an American (Apollo) and a Russian (Soyuz) spacecraft in 1975. The author with cosmonaut Alexei Leonov and astronaut Thomas Stafford (Credits: L. Peeters). 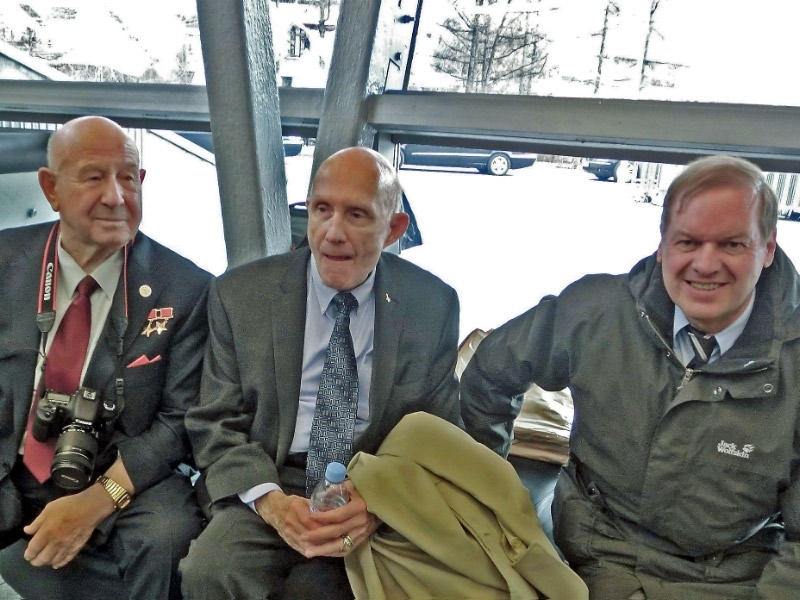 I have had the privilege to know both commanders of this mission, Alexei Leonov from the Russian side and Thomas Stafford from the American side. We shall not forget that both of them were military pilots and rather trained to fight each other than to cooperate with each other. Fate forced them to work together in a joint mission where their lives depended on each other. This creates a bond for the rest of one’s life. And indeed, when I met them again in 2011, I met two very close friends, friends for life. Technically speaking, one could argue that such docking required only a good interface control document with limited knowledge of both systems. The same cannot be said about the cooperation at ISS, though. Let us go back to the history of ISS. As early as Jan. 25, 1984, U.S. President Ronald Reagan, in his State to the Union address, directed NASA to develop a permanently occupied space station, with the specific instruction to invite other countries to participate in the project. On Sept. 29, 1988, a multinational governmental agreement was signed between the United States, the European Space Agency, Japan and Canada for the building of the Space Station Freedom. On Jan. 25, 1994, U.S. President Bill Clinton invited the Russians to join the project, noting in his State of the Union address, “Instead of building weapons in space, Russian scientists will help us to build the international space station.” At that moment, a historical step was made to build the most impressive and complex international project ever undertaken with such a diverse number of partners. 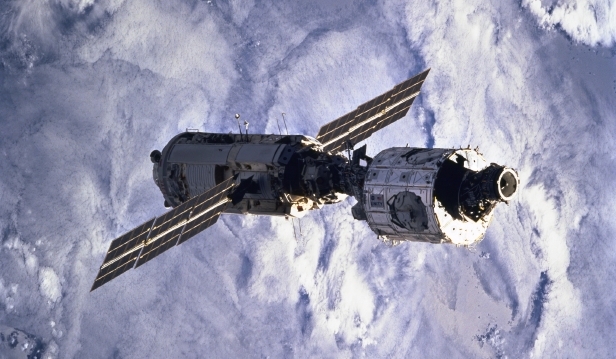 In 1998, the Zarya and Unity modules of the International Space Station were joined (Credits: NASA). On Nov. 20, 1998, the first element of ISS, Zarya (Russian for “dawn”) was launched by a Proton rocket, and two weeks later Unity (Node 1) was attached to the station after delivery by the Space Shuttle Endeavour. This was the start of a very complex and successful multinational building program. It also represented a completely new way of international cooperation, as the elements composing the station are interdependent. Hence, thousands of engineers had to work together all over the world and learn to trust each other fully. An important aspect of this is the ultimate human factor in such an endeavor: namely, the astronauts. In order to prepare for joint missions, the so-called Phase One was introduced, involving a number of U.S. astronauts in missions to the Russian space station Mir, as well as having a number of Russian cosmonauts as part of the U.S. shuttle crews. Seven U.S. astronauts were involved in long-duration missions onboard Mir. These are the real roots of closer interpersonal contacts, via astronauts and cosmonauts but also via the hundreds of supporting people around them. The U.S. astronauts were received with skepticism by the Russian space specialists, but I have witnessed the rapid change when both sides started increasingly to appreciate the skills of the other side. It was a clash of cultures, technical as well as social. One of the events I still think made a considerable breakthrough was the flight of Shannon Lucid in 1996. This remarkable astronaut spent 179 days onboard Mir together with two relatively young cosmonauts with such a serenity and sense of good mood that it really impressed the seasoned Russian space community. It is this mutual respect that is the indirect key of the important contribution of these joint space programs. Not only astronauts but also thousands of other specialists learned to work together in the ISS era all over the world, requiring common standards and agreements on a common time and language. Since 2000 multinational crews have been onboard permanently, doing excellent scientific work in microgravity conditions. There is, however, another dimension to this. ISS can be seen at night with the naked eye, and millions of people have been looking at this platform, a symbol of international and peaceful cooperation, over more than 13 years now. This physical link with the station from all around the world is giving hope that humanity will be able, on a broader scale, to peacefully undertake bigger and bigger projects. In analogy how, no doubt, space cooperation worked as a catalyst in the Cold War period, ISS could become a steppingstone to even more global cooperation. Exploration to other celestial bodies such as Mars will be too expensive, even for the present ISS partners, and will require including new partners such as China and India. We can but hope that this next step will lead to such global cooperation, giving humanity a new source of inspiration toward a more peaceful global society. What more arguments are needed for a Nobel Peace Prize nomination? Walter Peeters is a professor and president of the International Space University.